This case was designed for Nomad Sound. 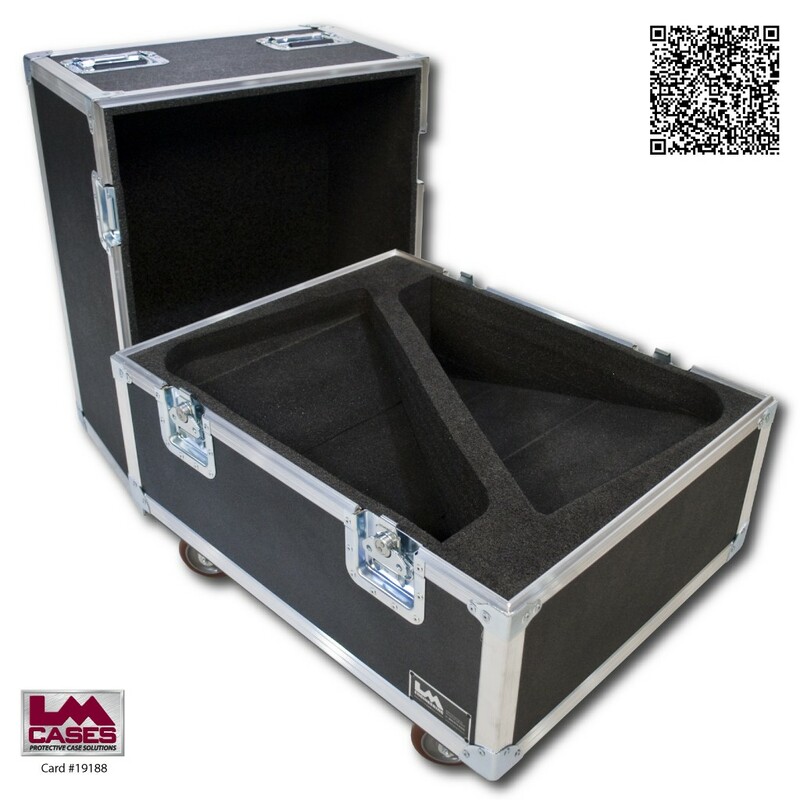 The case is designed to hold 2 Nexo 45 n12 monitors on their sides to achieve an exterior truck pack dimension of 30" x 24". The wedges are held in a custom CNC cut insert to hold the unique angle of the cabinets. The angled pieces of foam were cut on our fast wire CNC saw and the outlines of the cabinets were cut on our reciprocating knife CNC saw. 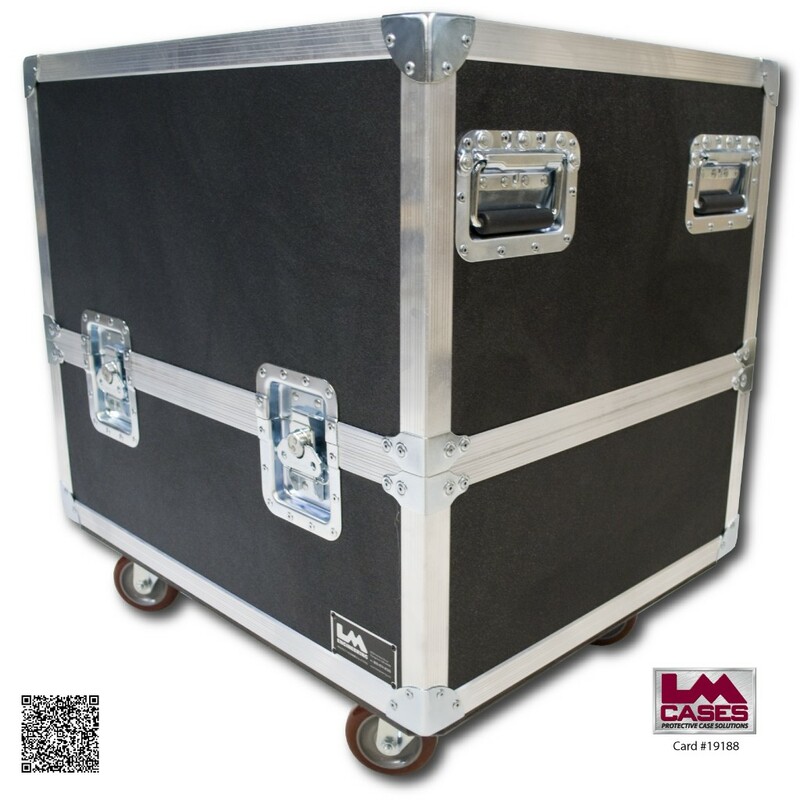 The exterior case is built out of 3/8" plywood and features 4" Colson poly hi-tech casters, stacking caster wells in the lid, and deep recessed handles. Special thanks to Nomad Sound!